It was used for the grip operation part of the indoor barless helicopter. Current situation, stable and operating. If the situation observation is good, I want to use it in the future. This review is about item#88925986. I am saved because it is a frequently broken part. Because it is used in sea water, closed type will rust soon, so we are exchanging it for open type during maintenance. I can use it without problems. This review is about item#88926171. It is used for about 30,000 revolutions of bearings. Truly NSK! It runs very smoothly, no complaints. Is it Made in Japan? This review is about item#88926144. It was as good as I expected. I want you to increase the size a little more. This review is about item#88926013. It was saved because the monotaro shop was the cheapest selling even with the same size, it was a prompt correspondence with regard to shipping so we were able to purchase pleasantly and I also want to purchase at the Monotaro shop when purchasing again. This review is about item#88926284. Even if it is easy to do this, even if it is disposable ok! This review is about item#88926241. It is very helpful to purchase each size cheaply. In the case of reels, work is more efficient than replacing bearings by removing them each time maintenance is carried out. 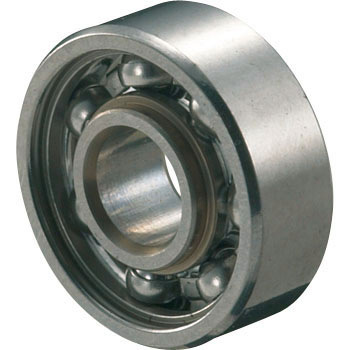 The dedicated one is a price that can not be withdrawn, so these bearings are useful again. The feeling of use is not much different. Rather, it is much more advantageous as it is always new. I will recommend it. This review is about item#88926162.